If you are a Mum, you will know a few things about babies and small children; lovely as they are, they are messy and they are expensive. There is one product that I discovered with baby number 2 that I now recommend to every single one of my Mummy friends. This awesome product helps with both the mess and the expense. This super awesome baby product – cloth baby wipes from Cheeky Wipes. The one baby item that almost all Mums would agree that they would not be without is a good old fashioned pack of baby wipes. Personally, since I discovered Cheeky Wipes cloth wipes 5 years ago, I have not bought any disposable wet wipes. 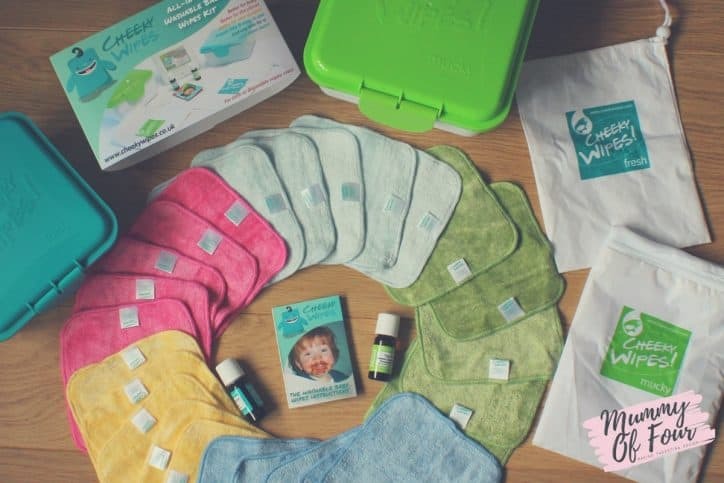 We use these amazing little wonder wipes both at home and out and about for baby bum changes plus messy hands and faces for the whole family. Read on and I will tell you how cloth baby wipes are my essential baby buy and how once you use Cheeky Wipes, you will wonder how you ever lived without them. 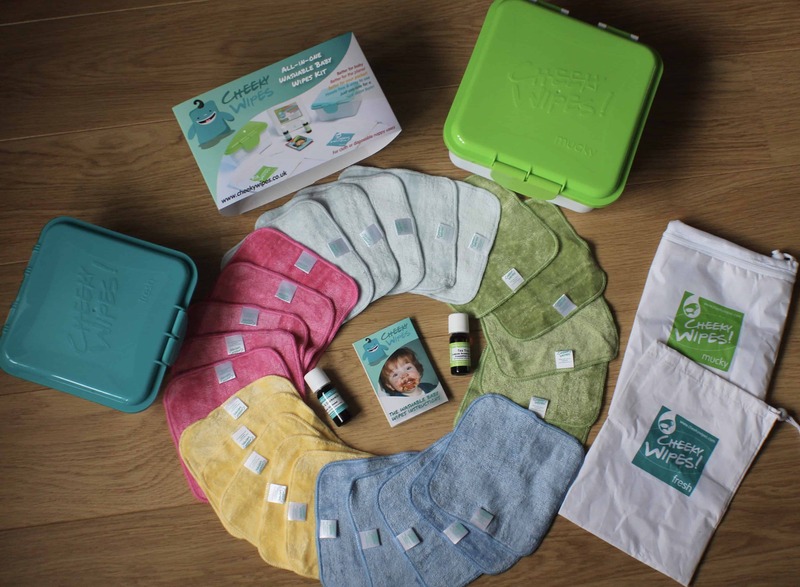 Click here to enter my competition to win a complete Cheeky Wipes Kit! I’m probably not what you would call an eco warrior. I am all for doing my bit for the planet, but as a busy Mum, I’ve always acknowledged that you also have to do what gets you though the day. When I had my first son, I honestly thought that my friends who used cloth nappies were just slightly mad to make any more work for themselves, parenting is hard enough, right? So one day, I went to visit a friend. It wasn’t until my son, who had just turned one the time, smeared banana all over my jeans, that I realised that I had left my baby wipes in the car. When I asked if I could pinch one of her baby wipes the friend that I was visiting threw me a small, damp, brightly coloured and nice smelling cloth. “Use that” she said what I was immediately intrigued. This tiny and seemingly magic little cloth cleaned up the enormous mess that it would have taken several standard wipes to tackle, with ease. I had to have some of my own. My initial thoughts were that I would just use them for hands and faces. 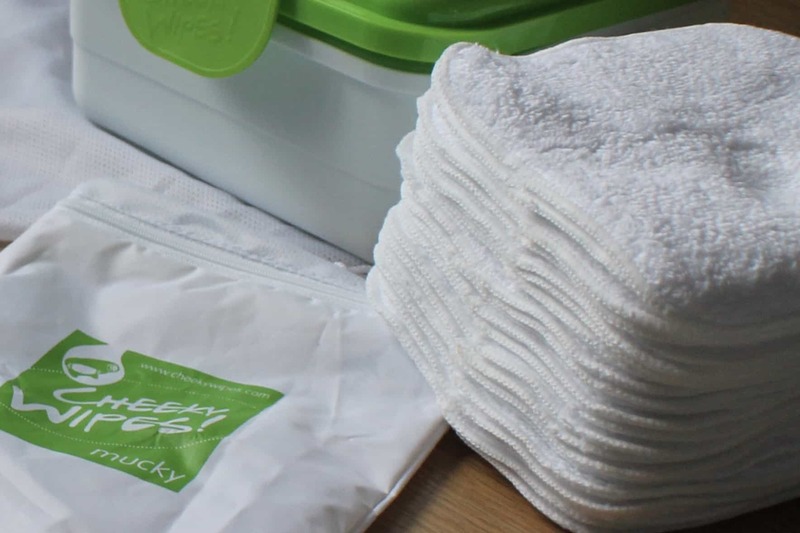 It wasn’t long after my own Cheeky Wipes arrived that I realised just how fantastic they were not just at meal times but for nappy changes too. This was back in January 2013 and I haven’t bought a single disposable wet wipe sense. Are Cloth Wipes Right For You? 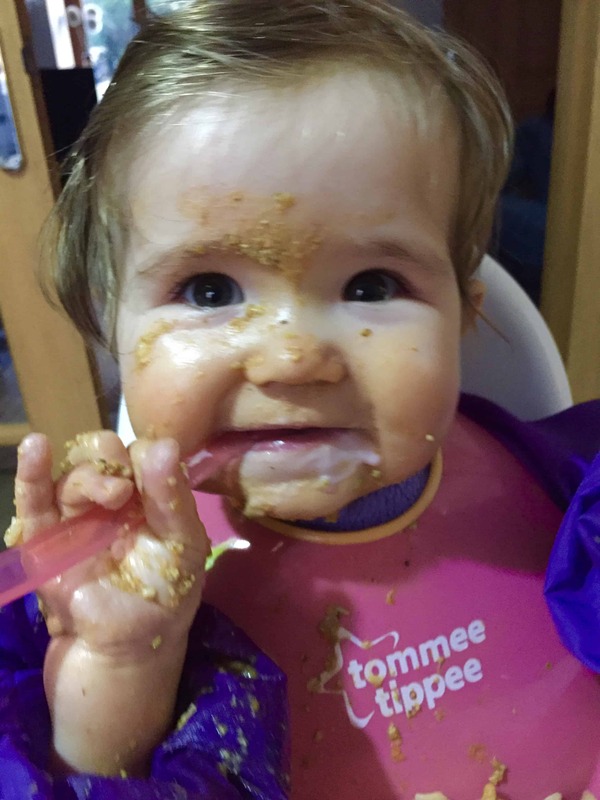 own a baby, toddler, or child that ever gets messy? (So basically, do you have kids? They are all messy). have access to a washing machine? If the answer is yes to both of these the questions, then cloth wipes will work for you. Here are some questions that you probably have about using cloth wipes. Why Are They Better At Clean Ups? Does this look familiar? This is my second son who’d just done a poo all up his back. I had not discovered cloth wipes are the time and it took a whole pack of wet wipes to clean up this curry sauce explosion. In my experience, cloth wipes are like giving your baby lovely little bed bath. They are far more grippy when it comes to cleaning up what ever baby mess it might be. Think about it, which is more effective at cleaning mess, a baby wipe or a wash cloth that you would use in the bath? Cloth wipes are essentially mini wash cloths and each one cleans up far more than any single traditional wipe ever could. Why Are They More Convenient? I remember the pre Cheeky Wipes days where panic would ensue as I reached my last pack of wipes. I only used to want to purchase in bulk, as it was cheaper that way, so I would end up purchasing cash and carry sized containers of wipes which I then had to store all over my house. Since discovering cloth wipes, I know that I will never truly run out, as I am just a quick machine wash away from a replenished supply. Most Mums with one baby that I surveyed used around 2 packs of wet wipes per week (which I must admit, would have been a conservative estimate for me when I was using disposable wipes). Say for example you bought wipes in bulk and on offer for around 50p per pack, so spent £1 per week. You will need wipes for the entire duration of your child being in nappies, so at least 2 years. So already, we have spent £104 on baby wipes. Now, being more realistic, are you really going to stop using baby wipes, even if your child was by some miracle dry day and night by their second birthday? No. The answer is no. 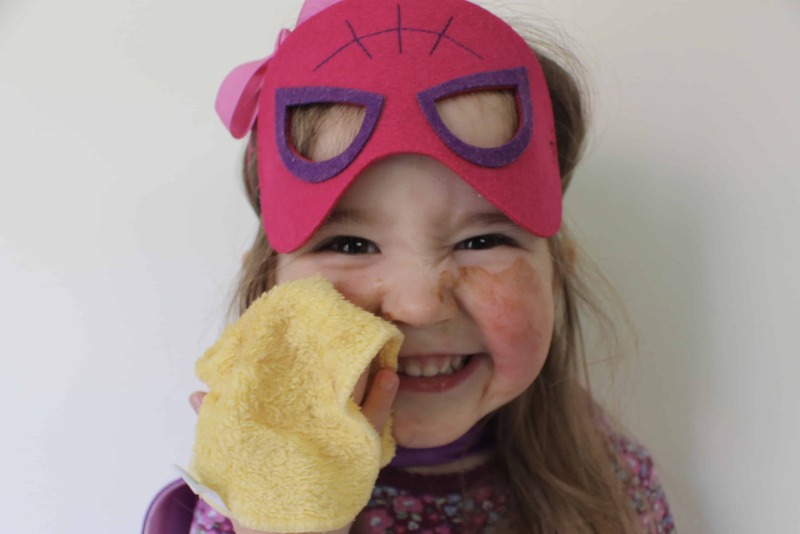 Even if you are no longer wiping their bottom, as a Mum you will continue to need wipes for faces and hands and snot and other gunk and mess created by small children. So even if you cut back to 1 pack a week between your little one’s second and third birthday, it still brings your wet wipes spend to date up to £125 for just one baby. Now imagine that you have another baby (or four like me), suddenly you have spent crazy amounts of money on something just to wipe up sick and poo then thrown the bin. My 4 children all use wipes for their hands and faces after every meal, the eldest of which is 13. The way I see it, investing in some Cheeky Wipes has made long term economic sense vs using traditional wet wipes. Are They Better For The Environment? If we go back to our calculation that assumes that one baby will use 250 packs of wet wipes by the time that they are 3, it also means that 250 packs of wet wipes will end up in land fill. Not only that, think of the additional carbon footprint created to manufacture and transport 250 packs of wet wipes. 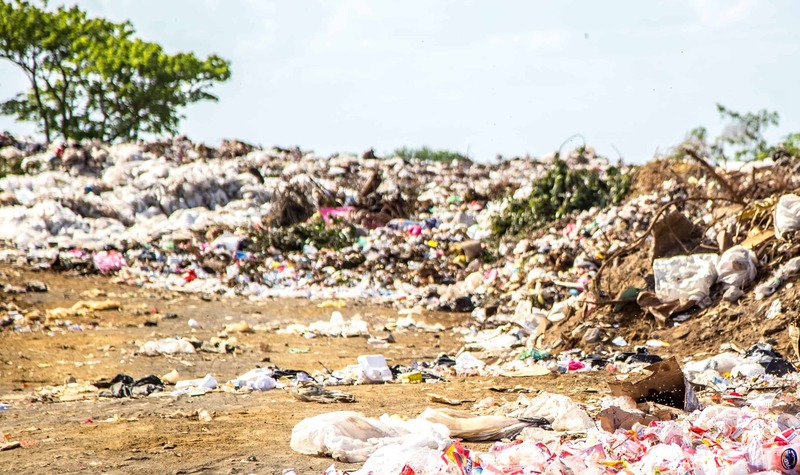 Compare all of this to buying just one set of Cheeky Wipes, even with a small amount of extra washing taken into account, the cloth alternative is far kinder to Mother Nature. Are They Better For My Baby? I don’t know about you, but I have pretty sensitive skin. Back in the days before discovering Cheeky wipes, I used to reach for an oh so convenient disposable baby wipe to take off my make up. While I didn’t used to breakout in an immediate rash, they would often leave my skin feeling slightly tight and sore, especially around my eyes. The more I used them, the worse my skin became. Your baby’s skin is also very sensitive. No matter how mild they claim to be, there is no getting away from the fact that the majority of wet wipes contain some chemicals. Which chemicals are on Cheeky Wipes? None at all. 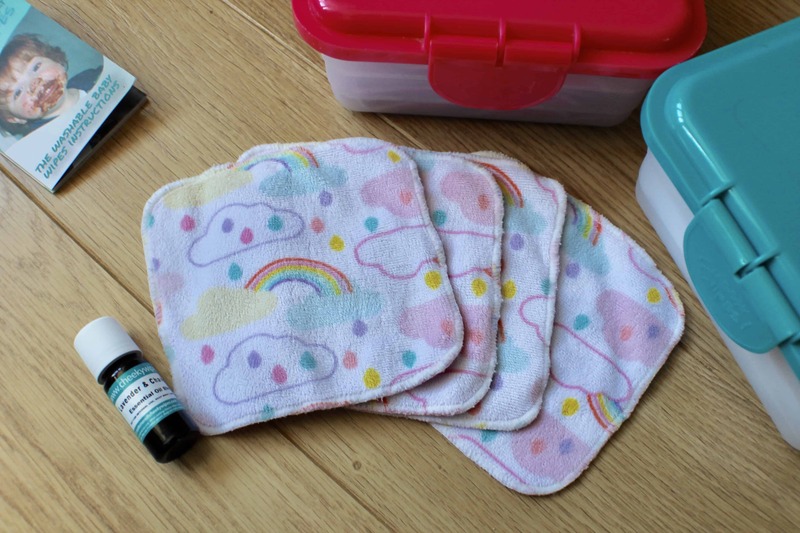 The only things added to your cloth wipes are whatever you decide to add yourself, so basically water and a couple of drops of Cheeky Wipes essential oils if you wish. If water is all you want to add, then you know that water is all that will be there. And yes, I do sneak some Cheeky Wipes into my own bathroom to take off my make up now. When getting started with cloth wipes, it can be a bit daunting. What will you need? Which type should you choose? How will you wash them? Fear not, I have all of the information here for you. I would start with a Cheeky Wipes Kit. In the kit is everything that you will need to get started with cloth wipes, plus it works out more cost effective than buying all of the bits separately. Which Wipes Should I Choose? Here are the different options when it comes to wipes; (remember they do offer have a trial pack of cheeky wipes, so you can choose your favourite fabric without a big commitment). Cotton Terry wipes are good all rounders, suitable for bottoms and hands & faces and brilliant for poop too. These are real workhorse wipes, the standard which have been in use at Cheeky Wipes HQ for 9 years! Available in white which can be washed to 60c, or a rainbow pack which should be washed with other dark colours up to 40c. If you live in a hard water area, limescale build up can cause them to feel crusty, however this is not obvious when damp and in use. It’s also easy to remove limescale using white vinegar, fabric conditioner, or tumble drying. These new wipes are an upgrade of the standard cotton wipes, made from heavier ‘zero twist’ cotton which is softer than standard cotton. There wipes are available in white which can be washed to 60c, or a rainbow pack which should be washed with other dark colours up to 40c. The cons of these wipes, again, limescale build up can cause them to feel crusty, however this is less obvious than with the standard cotton. 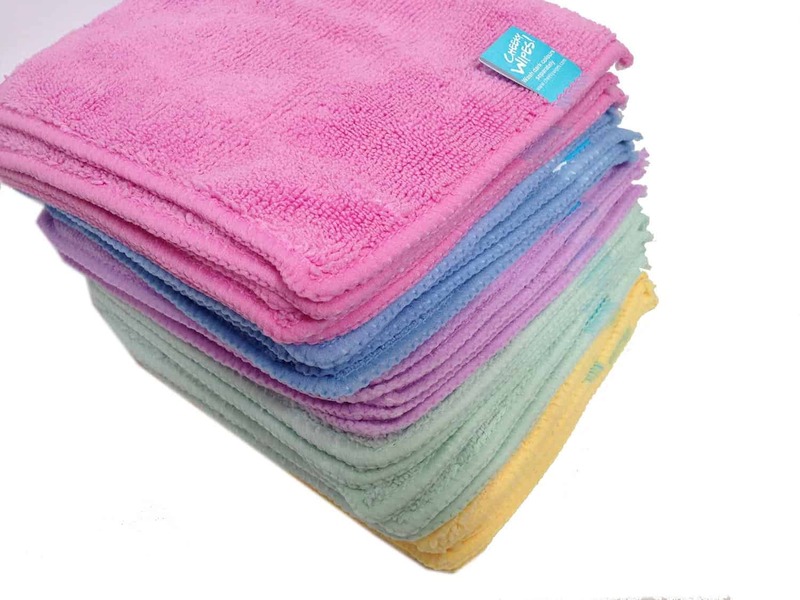 The cotton flannel wipes are suitable for hands, faces & bottoms, though they are not as grippy for poo. The cotton flannel wipes are larger and thinner than the standard wipes and get softer with every wash (think your favourite cotton flannette PJ’s!) These are perfect if you want a wipe which feels more like a disposable wipe and better for larger hands. They are available in bleached cotton, with burgundy / purple / green edging which can be washed to 60c with other dark colours. As they are flannel, they aren’t as grippy for poo, but will still do the job. Their softness makes them great for hands & faces. The bamboo & milky wipes are great all rounders, suitable for bottoms and hands & faces. New at Cheeky Wipes, these wipes are the softest all-round wipes that they sell, with plush minky on one side for faces and bamboo viscose on the other side for bums. Very cute too, they come in 5 different patterns, we have them with rainbows on them. Although they are bamboo on one side, they aren’t as grippy as the bamboo terry wipes, so not quite as good a performance when it comes to poo, but are fine for wees. These all rounder wipes are suitable for bottoms and hands & faces. 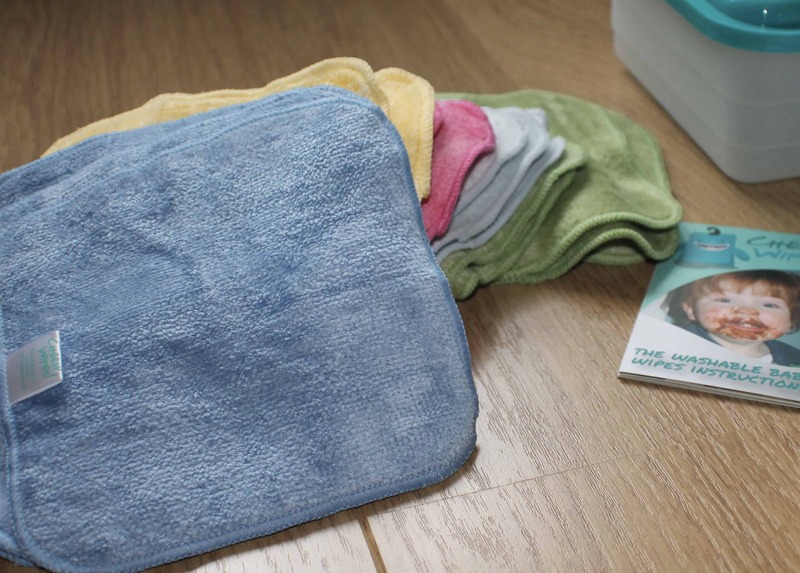 They wipes are also a good all-round choice, with a soft velour side and bamboo terry on the other face. The Bamboo wipes are less likely suffer from limescale build up, so stay softer for longer. The microfibre wipes are super soft but suitable for hands & faces only. They are not recommended for poo as the nature of microfibre is that it traps fibres. These are SO soft, and are fantastic for wiping faces after meals. They are good for hard water areas as they don’t suffer from limescale build up. They are great value, and are the cheapest wipe that Cheeky Wipes sell. Personally, we have a selection of the premium cotton terry, the bamboo velour and the bamboo and minky wipes with the rainbows on them. I love all of these wipes, but if I were to select just one type, I would go for either the cotton Terry or the bamboo velours as they are super grippy of big messes such as tomato based sauces and poop. What Do I Do With My Kit Once I Get It? 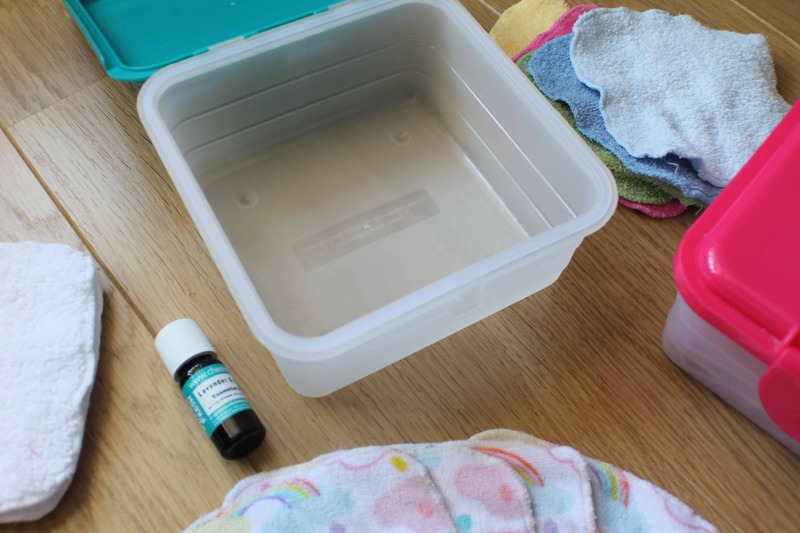 Add a couple of drops of your selected wipes essential oil (we like Lavender & Chamomile) then fill with tap water up to the top line in the box. Add your wipes into the box and turn them over in the water a few times until they are totally soaked. Your wipes are now ready to be used! The wipes will stay fresh in the fresh box for up to 3 days, but Cheeky wipes recommend refreshing the solution on alternate days. Place the mesh bag inside the mucky box and hook the strings at each of the four corners to secure it. 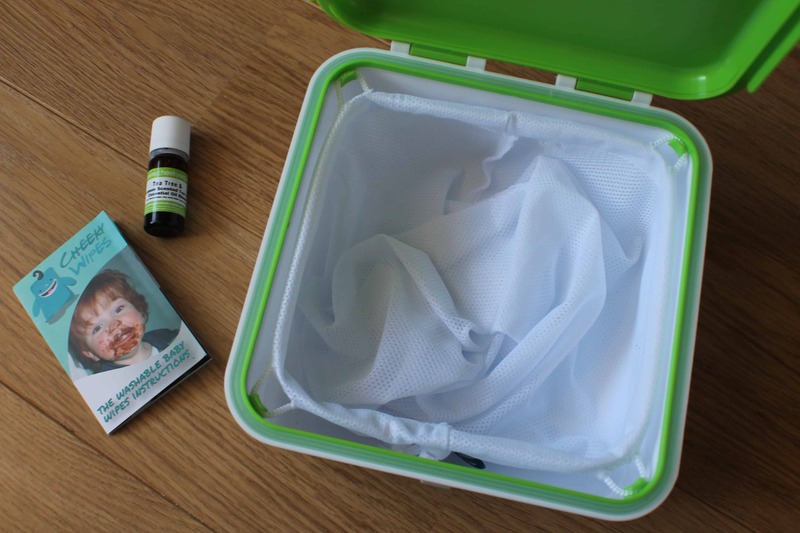 Add a couple of drops of Cheeky Wipes Mucky Box Essential Oil and your mucky box is ready for your used wipes. What Happens When I Need To Go Out? Before you go out, simply grab some wipes from your fresh bag, squeeze off any excess water and pop them in your fresh bag to take with you. 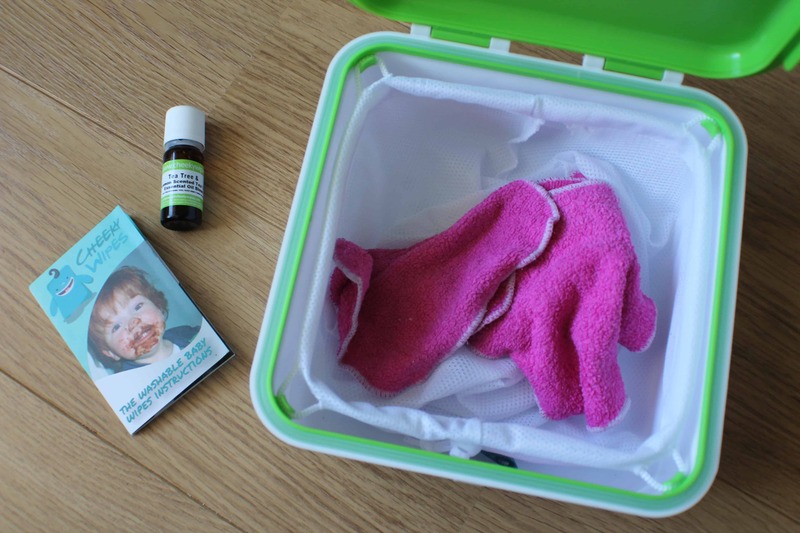 Top Tip : I always leave a hand full of dry wipes in the changing bag or car for emergencies, they can always be quickly soaked in a bathroom sink wherever we are. When you have used your wipes while out and about, simply pop them into your mucky bag. I like to leave a couple of drops of the lemon and tea tree essential oil in the mucky bag before we go out. How Do I Wash My Wipes? When you want to wash your wipes, simply remove the mesh bag from your mucky box and chuck it in the machine – you don’t even need to touch the dirty wipes. When it comes to the wipes in your mucky bag, just unzip the mesh bag full of wipes from the bag and throw that in the machine too. If you are a cloth nappy user, you can do what I often do and store and wash your mucky wipes with your dirty nappies. Check out this video all about how to use cloth wipes, or visit the How To Use Cloth Wipes post for more information. 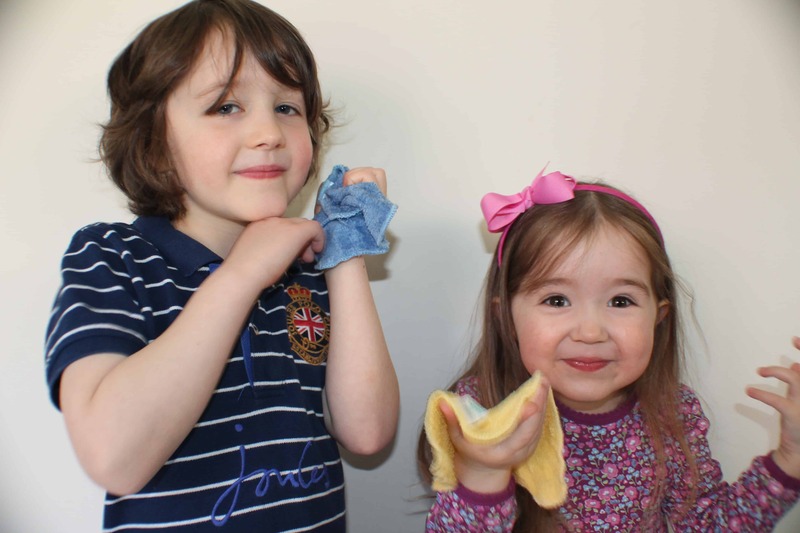 So What Is Stopping You From Giving Cloth Wipes A Go? For under £40 you can be up and running. And do you know what’s even better? 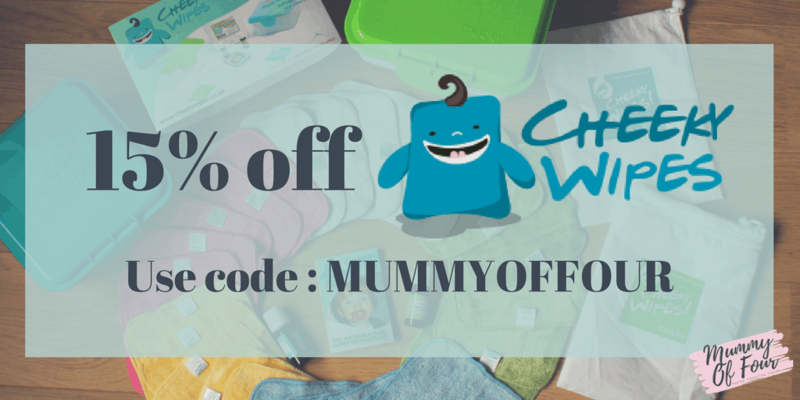 I have a special discount code to get you 15% off your Cheeky Wipes. 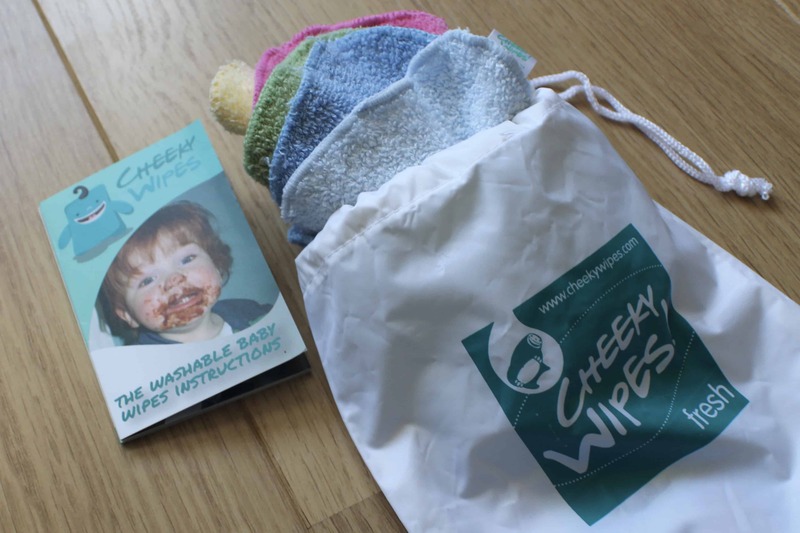 Fancy Winning A Cheeky Wipes Kit? Disclosure : this is a collaborative post. All opinions are my own. This post contains affiliate links. This is such a good kit. I’ve heard of Cheeky Wipes before but have never seen the kit up close. Although we don’t use wipes as often as we did now, I’ve still entered as this will last for years and still save money as you’ve pointed out! PS your Facebook live was very informative as to how to use the kit, thanks Rhi! These look amazing! My children aren’t babies anymore, but I’m sure I’d find other uses for them!